With 2.7 million practitioners in the United States, registered nurses (RNs) comprise the largest healthcare occupation. Of these nurses, more than 1 million hold certification in a specialty area. One of the most common areas is critical care. According to the Department of Health and Human Services (HHS), more than 318,000 RNs are critical care nurses. Critical care nurses provide care to patients with life-threatening illnesses and injuries. Because these conditions require rigorous treatment and close monitoring, patients are cared for in intensive care units (ICUs) at state, local, and private hospitals. Critical care patients need around-the-clock care, so critical care nurses typically work rotating shifts that cover all 24 hours. Critical care nurses may be on call and they often work nights, weekends, and holidays. Because they stand for most of their shift and often lift and move patients, critical care nurses must excel in physical stamina and overall health. Other important qualities include emotional stability, compassion, and detail orientation, as well as critical thinking, communication, and organizational skills. There are several pathways to becoming a critical care nurse, including a hospital diploma, an associate’s degree in nursing (ADN), and a bachelor of science in nursing (BSN). According to the HHS, most critical care nurses hold a BSN degree. After completing their nursing degree or diploma program, graduates must obtain licensure by passing the National Council Licensure Examination for Registered Nurses (NCLEX-RN). Licensure is mandatory in all states, the District of Columbia, and U.S. territories. Finally, a newly registered nurse must gain experience providing direct bedside care to acutely and critically ill patients, and she must sit for the critical care certification exam. According to the American Association of Critical-Care Nurses (AACN), employers prefer to hire certified nurses because they demonstrate a high level of specialty knowledge through successful completion of a rigorous, psychometrically valid, and job-related examination. 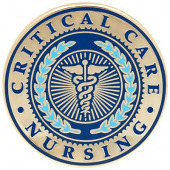 Indeed, a critical care nurse must work with critically ill patients for two years before she can sit for the AACN’s CCRN certification exam. Certified nurses must also validate their continuing knowledge of critical care practices by meeting continuing education and clinical experience requirements. Becoming a critical care nurse and maintaining certification are not easy, but all of the hard work will pay off. RNs earn a median annual salary of $66,000. High-performing RNs can earn more than $80,000 per year. RNs with one or more certifications like the CCRN may earn even higher compensation. Becoming a critical care nurse begins with a high-quality RN degree or diploma program. Browse our directory to find the best registered nursing programs in your local area.